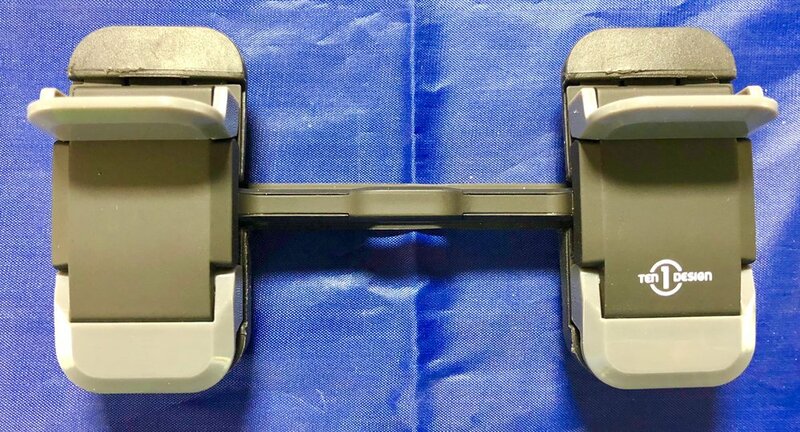 A few years ago, accessory manufacturer Ten One Design came out with the Mountie, a small device that clamped onto the side of one device -- Mac, iPad, whatever... -- and allowed users to clamp another device like an iPhone onto the first device. While the idea is great, allowing a MacBook Pro user to use an iPad Pro as a "second screen", the original just didn't have the holding power to really make me feel confident that everything would stay attached. That problem is gone now with the advent of the new Mountie+ (US$34.95). 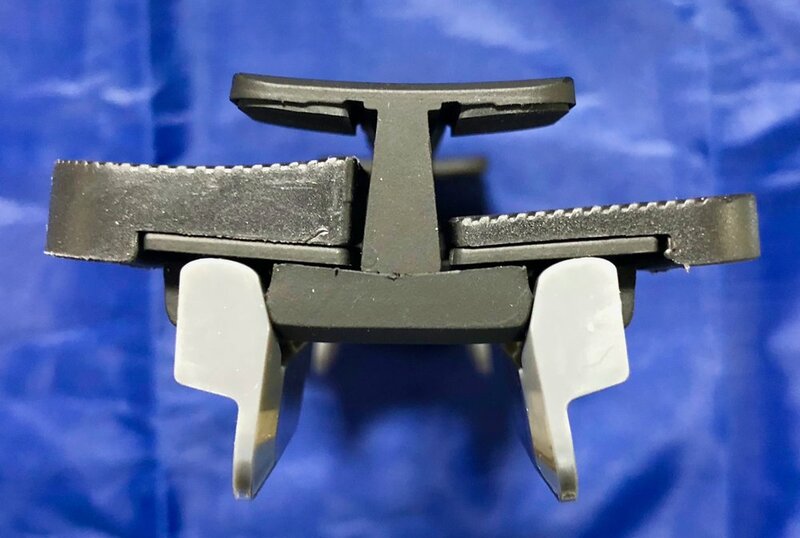 The new Mountie+ uses a similar design to the old Mountie, with a pair of padded clamps -- one for each device -- and pads for each side that can be swapped out for a nice tight fit. The difference? There are TWO of those clamp sets and as you'd expect, it has much more grip -- a 2.6X increase. The Mountie+ also has a way to redirect a charging cord to an iPhone or iPad that keeps the cord behind the laptop (or desktop) computer that is being used. The original Mountie ($24.95) is still available and works fine with iPhones. But if you want to attach an iPad Pro to a MacBook Pro or something like that, you'll definitely want to go with the Mountie+. So how does the Mountie+ work in real life? Very well, thank you! I didn't even need to change out the pads as one side was set up for a MacBook Pro and the other was set up for an iPad. 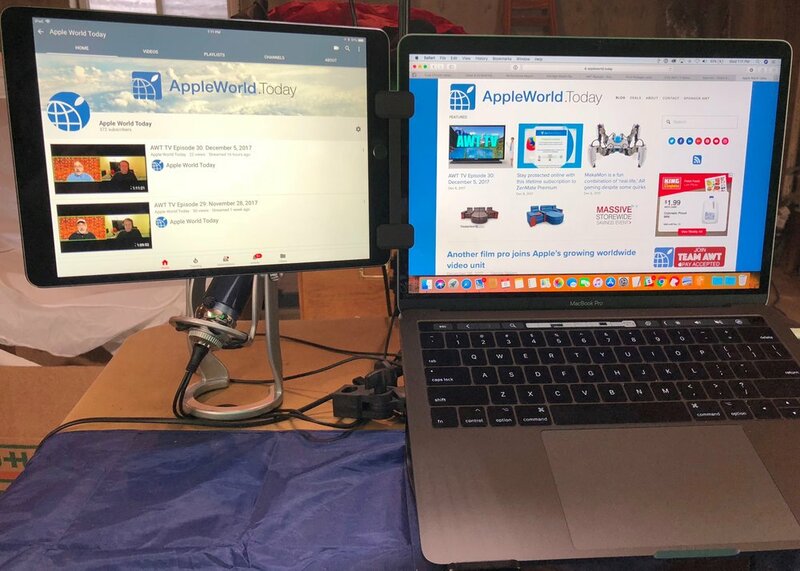 I clamped my 10.5-inch iPad Pro to my 13-inch MacBook Pro with Touch Bar, and promptly got to work on Tuesday night's AWT TV. The iPad Pro didn't even wobble when I was typing, and it was held in place very well. My favorite picture on the Ten One Design website is the one below, which shows a MacBook Pro with two iPads, an iPad mini, and two iPhones all connected together with a cluster of Mountie+ and Mounties. Do I have any doubt that the Mountie+ could handle a true-life situation like this? Absolutely not. IMAGE VIA TEN ONE DESIGN. 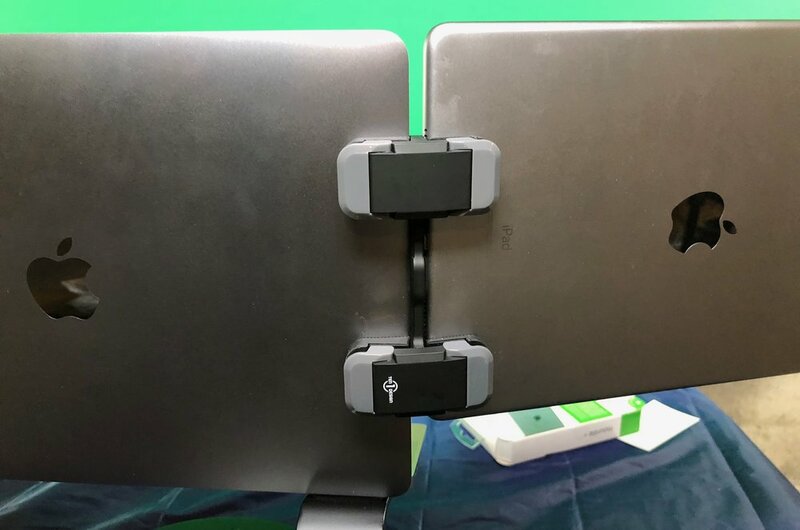 For laptop owners who want the ability to have a second screen, there really isn't a better mounting solution than the Ten One Design Mountie+.